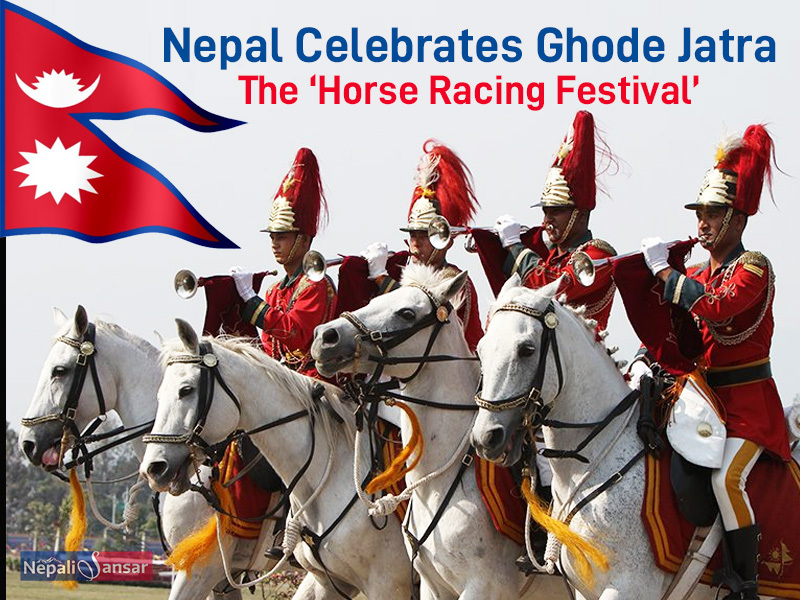 Nepal’s annual ‘Ghode Jatra‘ or ‘Horse Racing Festival’ has made its way for 2019! 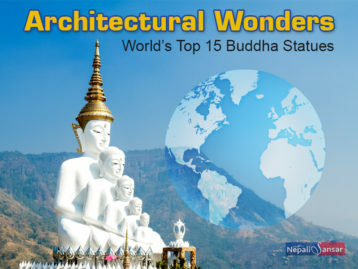 The country is celebrating the festival on April 05, 2019 on a grand scale with a wide variety of events planned in the Kathmandu Valley. 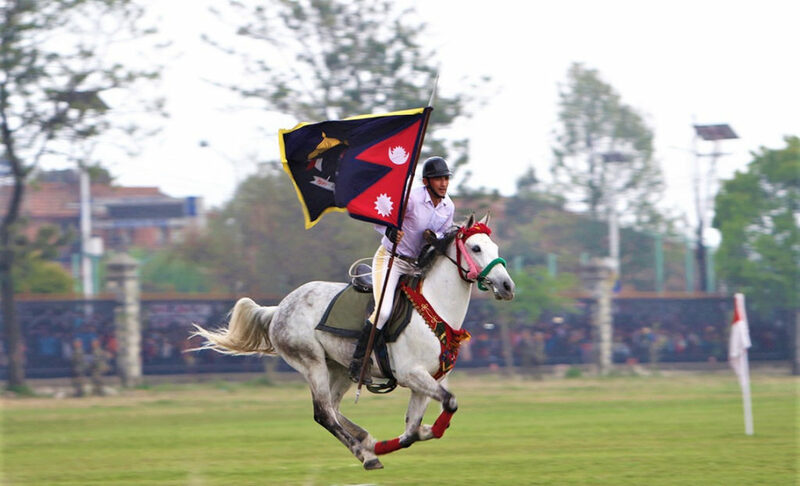 On the occasion, horse parade or Aswa Yatra is organized at Tundikhel grounds, every year. 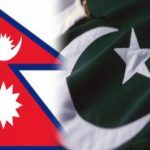 Besides the horse parade at Tundikhel, various other special events are held marking the day in the presence of top government officials. Nepali Army also perform special activities and perform their skills as paratroopers drop down from planes flying close overhead. Another key event part of the tradition is held at Bal Kumari in Patan, where a horse will be fed alcoholic spirits until its fully intoxicated and a Newari person (in traditional attire) equally drunk rides on it. Then people start shouting around enraging the horse until it starts moving wildly. Exciting? Direct visuals will be much more exciting! According to local legend, the festival has its origin in centuries-old history and was first observed celebrating the death of demon Tundi. People believe that the demon lived on a meadow, which is today Tundikhel, threatening public life in Kathmandu, mostly the children. Finally, the day came for the demon’s demise. Elated at this, public rejoiced by dancing on his body and riding horses. That’s where the custom of horse parade began backed by a strong public belief that the horse parade at Tundikhel will keep the demon’s spirit away. It is strongly believed that faster the horses run, the quicker the demon’s spirit will move away! Another local legend says the festival also marks the beginning of New Year. The festival is celebrated on the Krishna Aunsi day (as per the lunar calendar) exactly before the Chaitra Shukla Pratipada, marking the start of the New Year. The horse parade is organized as a grand welcome to the New Year. Exactly a day before Ghode Jatra on Pichas Chaturdarshi (as per lunar calendar), Nepali Army Cavalry team also performs different artistic stunts riding on their horses. 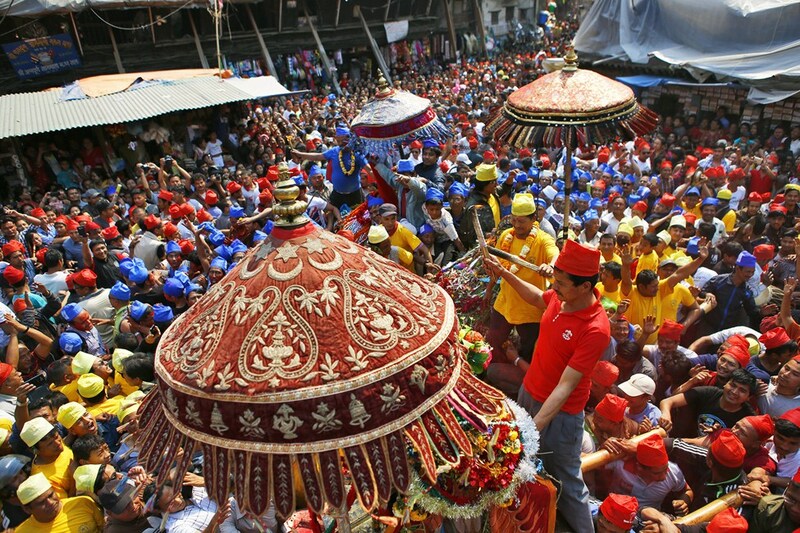 As per English calendar, the festival falls in the mid of mid-March or early April, every year.